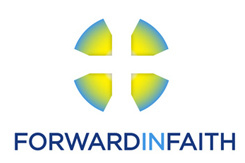 Forward in Faith welcomes the report on the nomination to the See of Sheffield and related concerns by the Independent Reviewer, Sir Philip Mawer, and his recommendations. As the Archbishops of Canterbury and York have said, the report is ‘detailed, thoughtful and authoritative’. Like them, we shall read it carefully. We look forward to the more detailed response that the Archbishops promise. We welcome Sir Philip’s statement that ‘there is no doubt that Bishop North’s nomination was consistent with the House of Bishops’ Declaration and the Five Guiding Principles’ (para. 130). Sir Philip finds that ‘not nearly enough’ has been done to inform and educate clergy and laity about the 2014 Settlement (190). We welcome his recommendation that the House of Bishops provide resources to help dioceses, deaneries, parishes and training institutions to engage in further consideration of the issues and to ensure that ‘mutual flourishing’ is achieved (191). We note that Sir Philip does not believe that Professor Percy’s ‘view of what constitutes “mutual flourishing” is consistent with what the House and the Synod had in mind in espousing the Declaration and the Five Guiding Principles’ (167). He comments, ‘The challenge posed by Professor Percy and some others… is in effect a fundamental challenge to the 2014 Settlement’ (132). We welcome Sir Philip’s recommendation that the House of Bishops give further attention to this theological challenge to the Settlement (198). It is the House of Bishops’ Declaration, so the House of Bishops needs to defend it. As Sir Philip says, the Settlement was a package. We note that the Measure and Canon which permit the ordination of women to the episcopate form part of that package. As Sir Philip comments: ‘Try to unpick the package and the basis for the settlement is immediately called into question’ (16b). In his conclusion, Sir Philip comments starkly, ‘The choice for the Church is whether to continue wrestling with the issues I have identified, for the sake of the Gospel, or whether to abandon the Settlement. If those who take the majority view in the Church are to retain credibility with the minority, there is only one choice which I believe they can make’ (206). We must now await the House of Bishops’ response to that challenge. In the last three years – and indeed for some time before that – no priest who publicly espouses the traditional catholic position on holy orders has been appointed as an archdeacon, dean, or residentiary canon in the Church of England. The Bishop of Burnley is the only such priest to have been appointed as a bishop in the three years since the 2014 Settlement was concluded. A positive response to Sir Philip’s challenge will only be credible if the House of Bishops and its individual members successfully address this deficit. Much of Forward in Faith’s work over the last three years has been directed towards building up The Society as a structure offering those who cannot receive the sacramental ministry of women as bishops and priests both sacramental assurance and a context of full communion. This has been done not from a desire for separation, but in order to enable us to engage with confidence, from a position of security and support, in the wider life of the Church of England. Many examples, from a range of dioceses, could be given of good relationships and co-operation across the divide of theological conviction. In response to Sir Philip’s report, we are happy to reaffirm our full commitment to the corporate life of the Church of England and to the flourishing of all within it.